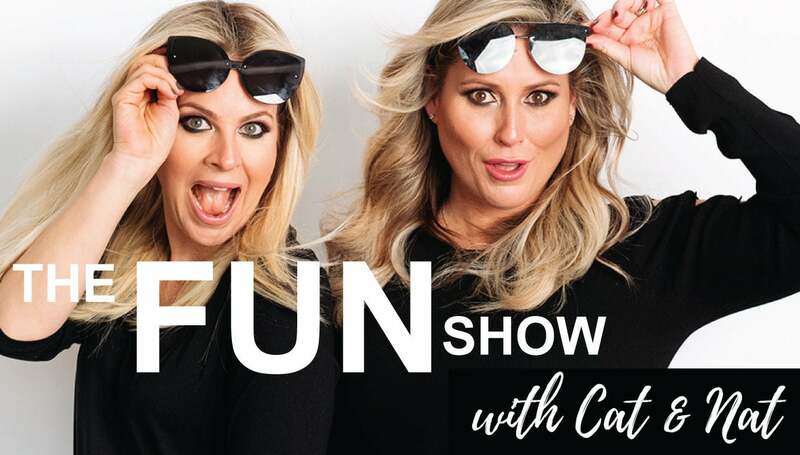 CINCINNATI, OH – Cat & Nat, the mom duo most well known for their viral #MOMTRUTHS videos and hilarious weekly Facebook Live Shows are hitting the road and bringing their FUN SHOW WITH CAT & NAT to the Cincinnati Music Hall Ballroom for one night only on Tuesday, September 25 at 8:00 PM. The show is part of Cincinnati Arts Association’s 2018-19 Presenting Season. Tickets go on sale Friday, July 13 at 10:00 AM at www.CincinnatiArts.org, (513) 621-ARTS , and the Aronoff Center and Music Hall Ticket Offices. Group discount tickets for ten or more are available by calling (513) 977-4157. These ladies are notoriously known for talking about all the things moms are thinking but never saying in an honest, hilarious, and candid way. With the focus on community and uniting women (and men, yes some men come and learn a thing or two! ), this show offers a little something for everyone. Join Cat & Nat as they give you a behind the scenes look into how they came to be; sit in for a "Chit Chat with Cat & Nat" Show; and join them for a party where there is sure to be games, impromptu dance parties, and ya'll know they’ll be having cocktails! THEIR MISSION HAS ALWAYS BEEN TO BRING LAUGHTER AND A SENSE OF COMMUNITY TO WOMEN AND MOMS. With seven kids between the two of them, Cat & Nat know just how lonely and isolating motherhood can be. So, they set out on a mission to bring women and moms together by hosting dinner parties and events - with wine and without babies. The events garnered huge success in Toronto and were talked about all over, leading Cat & Nat to take things to the next level and break into the online world to reach more people and connect women and moms everywhere. Cat & Nat's rapidly-exploding community of like-minded moms tune in every day to watch them rewrite the paradigm of “the perfect mom.” With honesty and humor, Cat & Nat dismantle the unrealistic portrayals of motherhood that are often presented throughout social and traditional medias. Through their virally famous #MOMTRUTHS, which have garnered hundreds of millions of views around the world, and their daily Facebook Live show, Cat & Nat share everything moms think but are too afraid to talk about.